The Survey Says... When asked if their current business drives its online marketing through a specific plan, only 8% of our SMB respondents indicated that they were using a marketing plan. 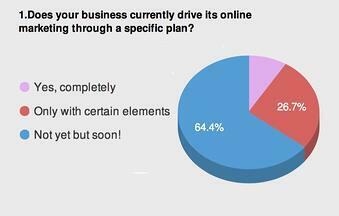 The Impact to SMB Growth: Planning is crucial to online growth success! However, over 90% of the respondents are either not using any planning or partial planning to drive their online marketing. This is a big problem. To put this into a simple analogy, these results are similar to trying to plan a road trip by putting a blindfold on and trying to pin something on a map. Ultimately, we all follow an approach whether we know it or not, be it strategic or serendipitous. 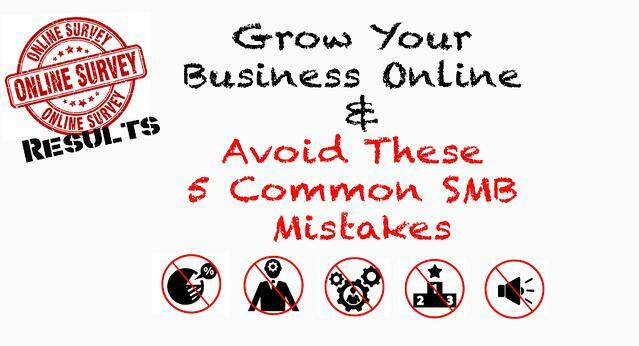 For SMB’s serious about generating online growth, setting an online growth strategy is the clear starting point! We'll dig into more details on how to set up your strategic online planning in another post very soon. For more information now on how to form a digital marketing plan, checkout this awesome article by Hubspot. #2.You can't fix what you can't see! 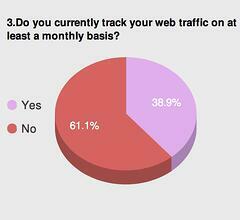 The Survey Says... More than half of those who responded to our marketing survey, 61.1% to be exact, do not track their monthly web traffic. Here is the MAJOR problem for these SMB's. Online growth follows a simple flow - generate traffic from your target audience, convert that traffic into leads. Nurture those leads to create a relationship and trust, and whom do we tend to do business with? Those we trust! However, if we don't know what we are generating in terms of web traffic, how can we possibly refine and grow that flow? To make matters worse, when asked as a follow-up, only 28% of businesses said that they are tracking their lead generation on a monthly basis. Even less still, approximately 17% stated that they knew the rate at which leads convert to sales. Yikes! Knowing your website traffic statistics are the keystone to growing your online presence. To most experienced marketers, tracking your website traffic is at the very heart of establishing your effectiveness online. Without tracking your traffic, how do you know how many visits you need in order to get a lead? How do you how to deploy your assets and resources effectively? How can you be sure if a new marketing campaign is reaching the desired audience? How can you see if your website is even performing at all without looking into these statistics? With the laundry list of available tools for traffic monitoring, monitoring monthly website traffic is a breeze. You can start simply with Google Analytics. It's free! Here's some more immediate insight for you to dig into from this SalesHub article discussing 3 benefits of measuring your website traffic on a monthly basis. #3. Almost none of our SMB's are practicing this little technique that offers a HUGE upside. 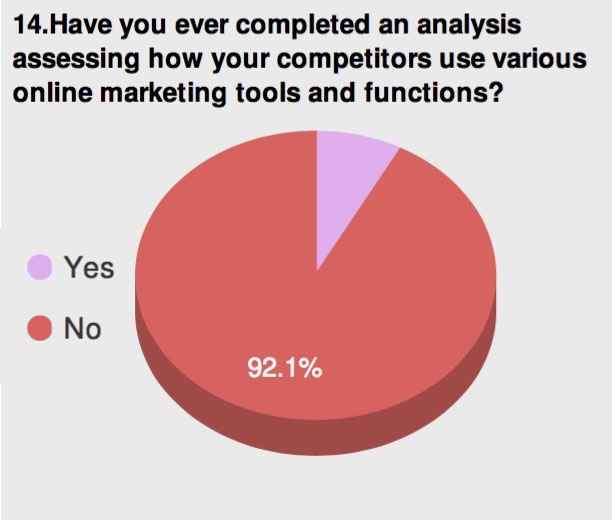 The Survey Says... Ninety-two percent of those who responded to our marketing survey, have never performed an assessment on their online competition! This was another result that was an eye-opener for us. Why? Let's start this basic. It is hard to compete in the proverbial "dark." What if we told you, with some basic analysis you can uncover and analyze significant portions of your competition online. Then, when you put this into an analysis, you will have identified the main growth opportunities and gaps that exist in your digital marketing place. Is that not something that can be a simple driver for online growth? For the 92% that aren't doing this, they are overlooking a very POWERFUL and relatively simple way to generate sustainable online growth. We love this topic and even offer a free competitive analysis on occasion too. You can expect to see some follow up insights and how-to's from us on this topic. In the meantime, Hootsuite published this simple template that you can use to get a basic start on analyzing the competition. For those that want more, here is a great step-by-step guide from Hubspot on completing a more in-depth competitive analysis. The Survey Says... Less than 3% of the SMB's in our survey are following an online reputation monitoring plan. For the other 97%, they must be following "ostrich marketing" because it is the equivalent of marketing by avoiding looking at what is occurring around you. Let's get this basic. When you check out someone you are considering to do business with online, where is one of the first places you go? Most people go to see what others have commented about that business. So shouldn't we be monitoring that? Online reputation monitoring (ORM) is the digital marketing equivalent of flood insurance; you hope that you never have to use it, but if you do, you are sure happy to have had it. In a study published by Moz last year, it was revealed that nearly 67% of consumers are influenced by online reviews and information. While most businesses may not be looking at what people are saying about them online, they can be sure that their customers certainly are! How can you grow when you are not monitoring what is being communicated about you in the online world? Not only does this impact your growth, at its worse, this can destroy an SMB! Less than 3% of those who answered the survey stated that they have a reputation management plan in place that enables them to monitor key phrases and allows for rapid response if trouble arises. Don't wait till disaster strikes to deal with reputation management! At that point, it may be too late to help your business! #5. Just curious, if you don't actively think about your existing prospects, why would you expect them to think about you? 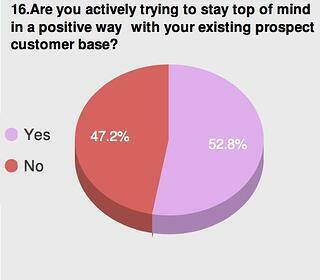 The Survey Says... Just under 50% of our SMB's responded that they are not actively trying to stay top of mind with their prospects. Staying top of mind with your audience should be a constant priority for any small business.It is what is required for growth. If your audience isn't thinking about you, who are you selling to? Frequent engagement with your audience lets them know that you care about them, and people are more likely to do business with companies that make them feel valued. We need to remember this is all about relationship building. We need to think in terms of perpetually sharing the value that our prospects and target audience is seeking. 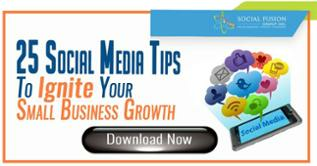 Anything short of this is going to hinder our ability to grow in the online world! If your customers have forgotten about you, not only does it decrease the odds of them spending money at your business, it also greatly decreases the chances of them referring new business to your company. Staying top of mind with your audience is one of the easier projects to take on in the digital marketing world because it can be done in a variety of ways. You can engage with your audience through things like emails, social media postings, or blog posts. Try to vary the way that you engage with your audience to keep it fun, fresh, interesting and most importantly, both relevant and valuable to them! Reach Local published this article with these 3 easy ways to stay top of mind with your audience. Survey results like these can point us, as digital marketers, in the direction of the proverbial fire that needs tending to. 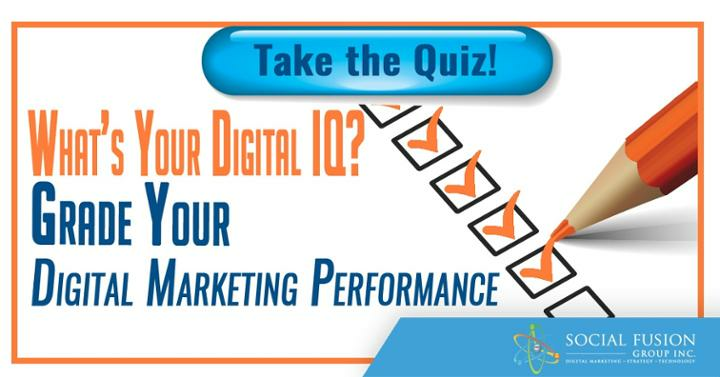 This survey has inspired us to create a series of content to try to address some of the deficiencies that many businesses are experiencing when it comes to digital marketing. And as always, comment below!